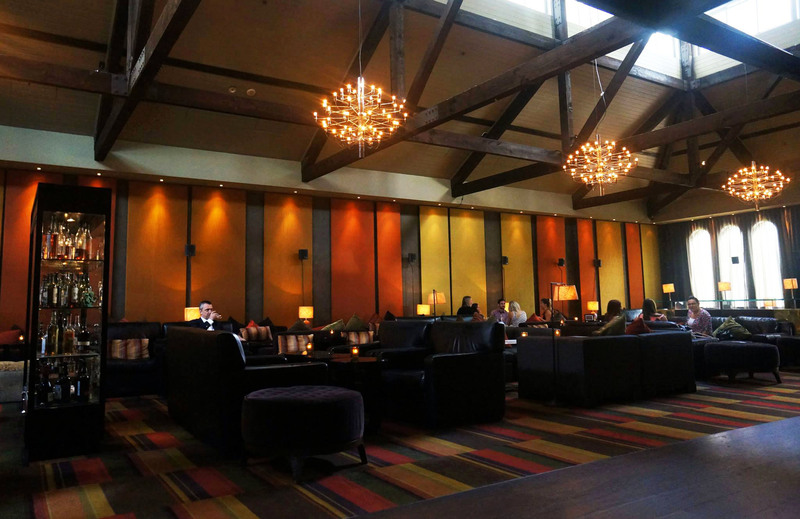 Last month Mr C decided to book a visit to Sushi E as part of the March into Merivale period, the restaurant is actually a part of Hemmesphere Bar and both are part of Merivale group situated at the top of the Establishment building above Est. We’d always heard a few good things about Sushi E but it’s quite pricey normally so we decided to take advantage of the $33 meal which included one choice of main and a drink, we picked a white wine similar to the one we had at Uccello, I forget which label it was unfortunately as we didn’t get a picture of it. Since we were visiting Sushi E it was almost a requirement that we order sushi, because of this we decided to try the Assorted Nigiri & Dynamite Rolls which is pictured above. 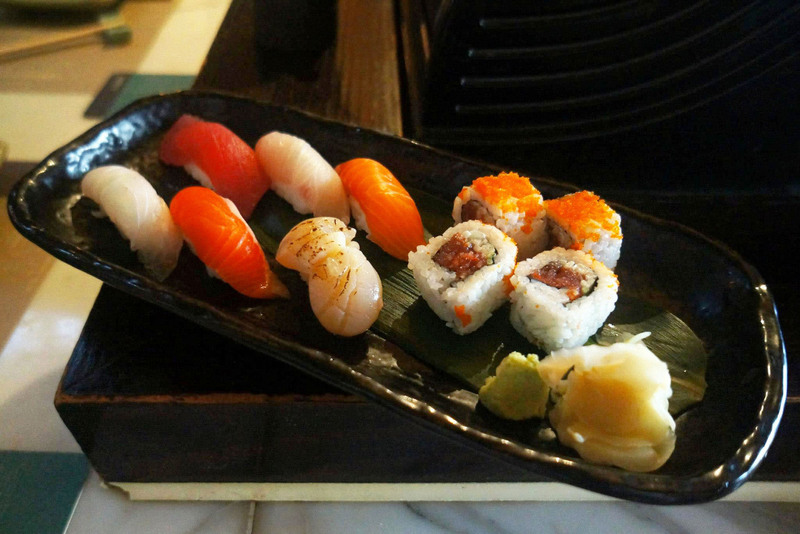 The platter contained a mix of scrumptious rolls and my favourite assortment of salmon, salmon belly, kingfish, tuna as well as one other mystery fish. All of the sushi was great especially with the soy sauce and wasabi (which is not spicy at all). Mr C wanted something a bit more substantial so he decided to try a wagyu beef tobanyaki which I believe is a Japanese dish traditionally served on a hot plate. The dish came out steaming and bubbling for the first few minutes before dying down and remaining hot for almost 30 minutes, quite a nice surprise as hot food is always better than cold food especially since we tend to eat slow compared to others. 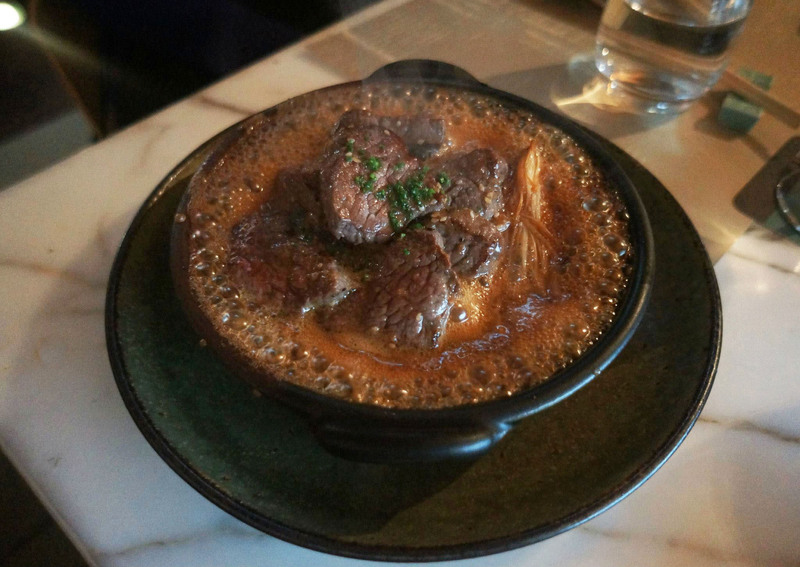 The meat was very tender and the broth mixture was amazing with a soy base as well as hints of mushroom and sesame. 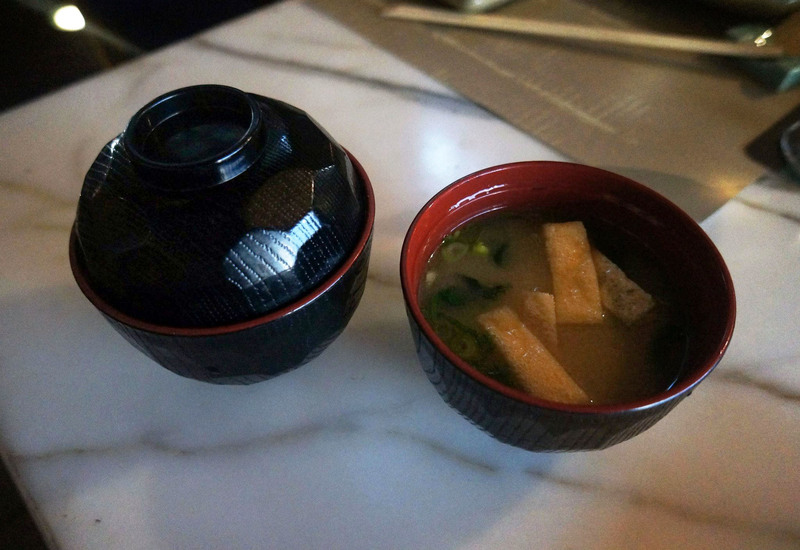 And of course no Japanese meal would be complete without some good Miso Soup. I always loved Miso Soup and this one was no different, it’s the best part of the meal for me no matter where or when 🙂 Mr C normally doesn’t like to drink Miso but even he mentioned that it was ‘better than usual’ and ended up drinking all of his serving, perhaps it’s better because it’s not likely to be premade instant Miso. We weren’t exactly starving so didn’t supplement the $33 deal with any extra food but at the end of the meal the waitress brought over a ‘surprise’ complimentary dessert for us. 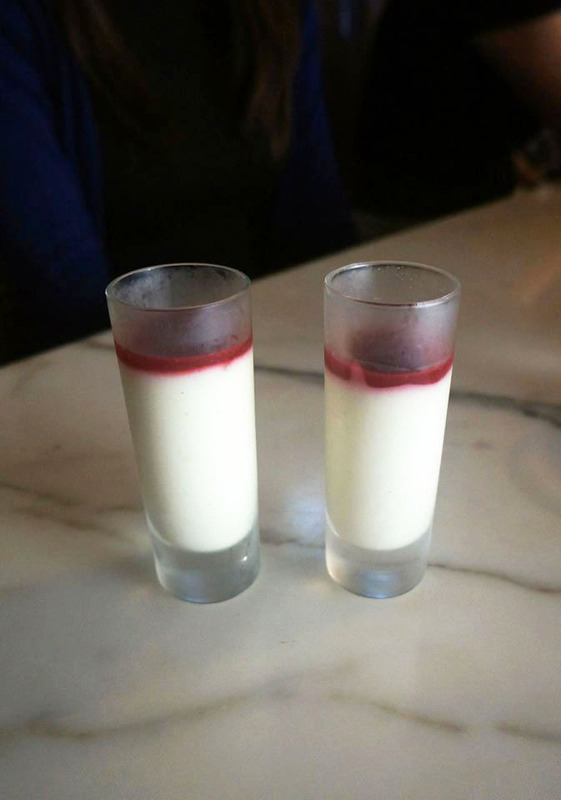 Having both always been big fans of Italian desserts we were delighted to find that they were shot glasses with a rich and amazingly creamy raspberry pannacotta. I haven’t checked but I hope they’re on the normal menu! The venue is pretty classy as the Sushi E part of the venue is actually directly attached to Hemmesphere, I believe you can even order food from Sushi E as bar snacks and have it delivered to wherever you’re seated. We visited on a Thursday night and there wasn’t much of a crowd which was nice however it started to fill up at around 7:30pm. I’m a long time fan! Have been here many many times. That wagyu dish looks good, haven’t tried that one! Absolutely adore this place. 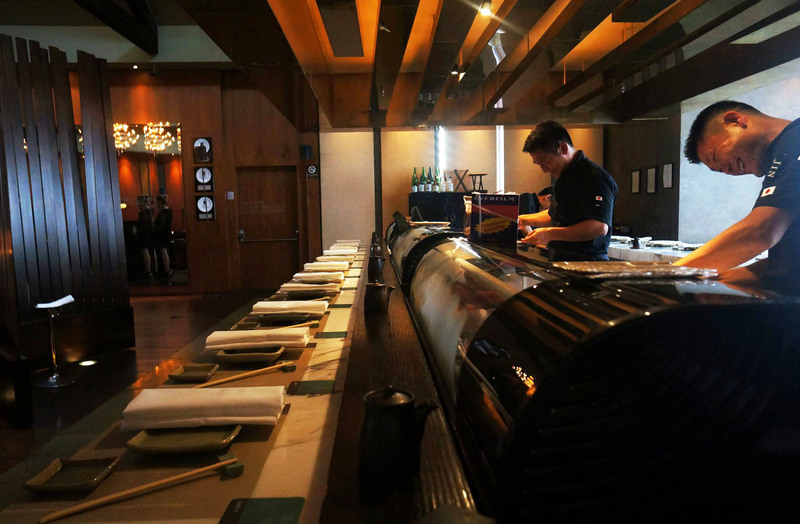 One of the top 5 sushi eateries in Sydney for sure! I’ve yet to try some of the ‘top’ but I’m inclined to agree!